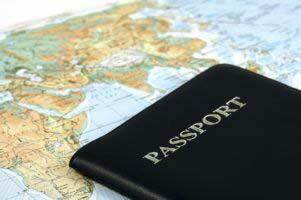 What is Dual Citizenship and Why is valuable? Dual Citizenship / Nationality is a citizenship status in which an individual is a citizen of more than one country at a time. Why is dual citizenship valuable? Having dual citizenship allows one to hold more than one passport, which has many different personal and travel benefits. Think of it this way: a passport is essentially your freedom document. It allows you to travel outside the borders of the country where you reside. With multiple passports, you have greater access to more countries. There are financial advantages too, as some banks and financial institutions tend to be more willing to work with certain nationalities. How can I tell If I am eligible for dual citizenship? It is best to ask a consulate, lawyer or diplomatic adviser who can look into your unique circumstances. While our best efforts have gone into producing the information below, it is provided with no guarantees as to its accuracy, as the citizenship laws of different countries do change often. If you do spot an error or a broken link, please inform us using this form. *You can also use Passports.IO for a list of all countries that allow dual citizenship. Albania recognizes dual citizenship for both native-born and naturalized citizens. Reference: Albania allows the dual citizenship. The Albanian citizens freely can apply the acquiring of another citizenship without losing the Albanian one. Foreigners also are not hindered to apply for the Albanian citizenship, without renouncing that of the country they originate. Reference here. Becoming an Algerian citizen requires renunciation of previous citizenship. However, there is no provision which specifically forbids dual citizenship if one were to become a citizen of a new country as the declaration comes into effect at the time of acquisition of Algerian nationality. Reference: Loss of Algerian nationality applies to: an Algerian, who works for an international organisation abroad of which Algeria is not a member, or to which the individual offers his assistance and who does not renounce this office or his participation in it, despite the fact that such a request has been made by the Algerian Government. The request may involve a time limit of no less than two weeks and no more than two months. The conditions for the acquisition or loss of Algerian nationality are regulated by the law that was in force at the time an act resulting in the acquisition or loss of the nationality was planned or occurred. Reference here. Argentina allows dual citizenship. Citizens are recognized as exclusively Argentinian when in the country, and are required to enter and leave the country on their Argentine passport if they are staying in the country for more than 90 days. Reference: Dual citizenship is accepted in Argentina. Dual nationals are only recognised as Argentine citizens within Argentine territory, and must enter Argentina using an Argentine passport, except when visiting for fewer than 90 days, in which case they must enter using their foreign passport. Reference here. Armenia allows dual citizenship. Citizenship is based primarily on the principle of jus sanguinis. Reference: Dual citizenship has recently been authorised. All male dual citizens regardless where they live are required to serve in the military as if they were Armenian resident citizen with certain exceptions. Armenian citizenship does not end simply because your passport expires or Armenian citizen lived outside of Armenia for extended period of time. Reference here. Dual citizenship is accepted in Angola. Reference: Angolan citizens are permitted to hold dual or multiple citizenships. Reference here. Reference: In Antigua, dual citizenship is permitted. A citizen shall not, solely on the ground that they are or become a citizen of another country, be deprived of citizenship, refused registration as a citizen; or required to renounce citizenship of the other country, by or under any law. The citizen shall not be refused a passport of Antigua or have such a passport withdrawn, cancelled, or impounded solely on the ground that the person is in possession of a passport issued by some other country of which they are a citizen or be required to surrender or be prohibited from acquiring a passport issued by some other country of which they are a citizen before being issued a passport of Antigua or as a condition of retaining such a passport. Reference here. Dual citizenship is recognized in Australia, which also has a very favorable residency and citizenship-by-investment program. Reference: People can become dual citizens automatically, or after being granted citizenship of another country. For example, an Australian citizen may automatically gain citizenship of another country through marriage, while a permanent resident of Australia may become a dual citizen by becoming an Australian citizen. Prior to 4 April 2002, Australian citizens who became citizens of another country lost their Australian citizenship automatically. Reference here. Barbados allows and encourages dual citizenship. Reference: Barbadian law allows their citizens to hold dual citizenship and encourages Barbadians living abroad to remain open to the benefits of holding such status. Reference here. Bangladesh permits dual citizenship. 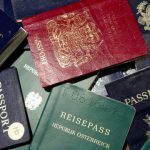 Citizens will not lose their passports when taking up another nationality, except if he commits a crime or incur a criminal fine within five years of becoming a citizen. Reference: Bangladesh permits dual citizenship under limited circumstances. Citizens may apply for a dual Nationality Certificate. This certificate makes it legal to possess a Bangladeshi passport in addition to a foreign passport. Those eligible for a Dual Nationality Certificate can apply for the certificate through a local consulate or embassy. For those in Bangladesh, you can submit the application to the Ministry of Home Affairs, Bangladesh Secretariat, Dhaka. Reference here. Reference: Belize permits dual citizenship. The Belize Constitution provides that a citizen of Belize by birth or descent who acquires the citizenship of any other country may, if the laws of the other country so permit and at his option, retain his citizenship of Belize. Reference here. Dual citizenship is permitted in Belgium, where it can take five years to become a naturalized citizen. Reference: If you hold another nationality and obtain Belgian nationality, the Belgian authorities will not ask you to renounce your original nationality. It is nevertheless advisable that you consult your national authorities to find out whether the acquisition of Belgian nationality would result in the loss of your original nationality, according to the legislation in force in your country. Reference here. Reference: Bolivia permits dual citizenship. The constitution provides that Bolivians who acquire a foreign citizenship do not lose their Bolivian nationality and those who acquire Bolivian nationality are not required to renounce their original nationality. Reference here. Brazil allows dual citizenship, but citizens are required to enter and leave the country on their Brazilian passport. Reference: Dual citizenship has been permitted in Brazil without restrictions since 1994. However, all Brazilian citizens must enter and leave Brazil on a Brazilian passport. Reference here. Dual citizenship is recognized – and encouraged – in Canada. However, citizens are advised to use their Canadian passport to enter the country of their second citizenship, something which the other country may not allow. Reference: Canadians are allowed to take foreign citizenship while keeping their Canadian citizenship.If you are a permanent resident but not a Canadian citizen, ask the embassy of your country of citizenship about its rules before applying for Canadian citizenship. Reference here. Dual citizenship is accepted in Cape Verde. Reference: Cape Verdean citizens are those who, by law or other international convention, are considered as such; The state could conclude treaties of dual citizenship. Cape Verdean citizens can acquire citizenship of another country without losing their citizenship of origin. Reference here. Dual citizenship is allowed in Chile, where citizenship is based on the principles of jus soli and jus sanguinis. Reference: Chile permits dual citizenship, Chilean citizenship is based primarily upon the principles of jus soli (right of the soil) and jus sanguinis (right of blood). Reference here. Colombia permits dual citizenship, but dual nationals are allowed to apply for certain government positions. Citizens who had once lost their citizenship may apply to have it reinstated. Reference: Colombian nationality law acknowledges that a Colombian by birth or by naturalization can also possess another nationality. Colombians who acquired Colombian nationality by birth cannot be deprived of it under any circumstances, so acquiring another nationality does not in itself result in the loss of Colombian nationality. A person who renounced their Colombian nationality may recover it later. Certain government positions are barred for those with dual citizenship. Reference here. Dual citizenship is recognized in Costa Rica, though it is one of the hardest places for one to become a naturalized citizen. Reference: Costa Rica permits dual citizenship. Reference here. Dual citizenship is accepted in Cyprus, which also has an economic citizenship program for those who wish to become citizens. Reference: The Republic of Cyprus accepts dual citizenship. This means that a foreign national may fill out the citizenship of Cyprus as a second citizenship without losing the previous one. The Republic of Cyprus is an EU country since 2004, so the possession of the nationality of Cyprus citizenship means the European Union (EU citizenship). The passport of the Republic of Cyprus is a good travel documents (visa-free for a huge number of countries), and also gives the right to live and work in any European country. Reference here. Czech Republic accepts dual citizenship, and those who previously lost their citizenship can apply to get it back. Reference: Czech nationals will be permitted to have dual and multiple nationality. In line with the trend prevailing in the EU, the Czech Republic will no longer insist on single nationality. Reference here. Reference: On 1 September 2015 a new Nationality Act concerning multiple nationality came into force. The new legislation allows a number of citizens to acquire or retain their Danish citizenship while also having or obtaining another citizenship. Reference here. Reference: Dominica does not require you to renounce your current citizenship. Besides that, Dominica does not notify authorities of your current country of residence or citizenship about your new citizenship. You in your turn have the right to renounce Dominica citizenship any time if your circumstances require. Reference here. Dual citizenship is recognized in the Dominican Republic. Reference: Dominicans can acquire foreign nationality. The acquisition of another nationality does not entail the loss of Dominican nationality. Reference here. Dual citizenship is accepted in East Timor. Reference: The following citizens shall be considered original citizens of East Timor, even if they are born in a foreign country: Children of an East Timorese father or mother living overseas. Children of an East Timorese father or mother serving the State outside the country. Reference here. Dual nationality is permitted in Ecuador. Those who had lost their citizenship due to naturalization abroad before dual citizenship was recognized in Ecuador may apply to have it reinstated. Reference: The 1998 constitution changed Ecuador’s attitude toward multiple nationality. It states specifically that naturalisation abroad no longer causes loss of Ecuadorian nationality; loss of previous nationality is no longer a condition of naturalisation in Ecuador. The constitution also contains a provision allowing for resumption of nationality by those who lost it previously upon previous naturalisation abroad. Reference here. Dual citizenship is recognized in Egypt, but citizens must first inform the authorities of their intention to take up a second citizenship. Reference: Under Egyptian law, acquiring another citizenship is acceptable, but requires that those who apply for another nationality inform appropriate Egyptian officials. However, holders of a dual-citizenship are exempt from military service and prohibited from enrolling in military and police academies or being elected to Parliament. Reference here. Fiji permits dual citizenship. Spouses of citizens are allowed to apply for citizenship if they have lived in the country for at three of five years before their application. Reference: Fiji Citizenship is governed by “Citizenship of Fiji Decree 2009.” This is Decree No 23 and was introduced in July 2009. Fiji has permitted dual citizenship since April 10, 2009. Those born in Fiji acquire citizenship unless the parents have diplomatic immunity or neither parent is a Fiji citizen. Those married to a Fiji citizen may apply for citizenship once they have been lawfully present in. Fiji for at least 3 of the 5 years preceding the application. Reference here. Reference: Finnish citizen acquiring a foreign citizenship does not lose Finnish citizenship. There are changes to the law mean that foreigners seeking naturalisation as a Finnish citizen do not need to renounce their former citizenship. They may retain it if the law of the other country permits them to do so. Reference here. Dual citizenship is permitted in France. Reference: Dual citizenship was not permitted between 1973 and 2009, during which time possession of more than one nationality affected French nationality. France later denounced Chapter I of the Council of Europe Convention on the Reduction of Cases of Multiple Nationality and on Military Obligations in Cases of Multiple Nationality of May 6, 1963. The denunciation took effect March 5, 2009 and dual nationality is now permitted. Reference here. Ghana permits dual citizenship. Those who lost their citizenship before dual nationality was recognized in the country may apply for a certificate of citizenship. Reference: A citizen of Ghana may hold the citizenship of any other country in addition to his citizenship of Ghana. A citizen of Ghana who is also a citizen of any other country shall whilst in Ghana be subject to the laws of Ghana as any other citizen. A citizen who has lost his/her citizenship as a result of the law in Ghana which prohibited the holding of dual citizenship by a Ghanaian may on an application to the President be issued with a certificate of citizenship which shall be effective from the date of issue. Reference here. Greece allows dual citizenship. One may also work toward citizenship by first obtaining residency in Greece, but the government does not encourage this route. Greek citizenship is based primarily on the principle of jus sanguinis. Reference: Greece permits dual citizenship. Greek citizenship is primarily based on jus sanguinis. Greece is a member of the European Union, and thus, a Greek citizen may live, work, or travel freely to all other countries that are a part of the EU. Reference here. Dual citizenship is allowed in Grenada. Reference: Dual citizenship is recognized in Grenada. Grenadian law does not specify any prohibitions or requirements concerning dual citizenship for persons either emigrating to the island or seeking to obtain another citizenship. Reference here. Dual citizenship is accepted in Honduras. Reference: Dual citizenship is permitted in Honduras. The following may possess dual citizenship: Child of Honduran citizens born abroad. Honduran who acquires foreign citizenship by marriage. Person granted citizenship by act of the National Congress. Citizens of countries with which Honduras has dual nationality treaties. Hondurans seeking citizenship of countries with which Honduras has dual nationality treaty. Reference here. Hong Kong allows dual citizenship. Reference: Article 3 of the Nationality Law of the PRC states that dual nationality or citizenship is not recognised. However, in Hong Kong, this is subject to “the explanations” made by the Standing Committee of the National People’s Congress (NPCSC). These explanations declare how the Nationality Law is to be interpreted in Hong Kong. According to the explanations, a Hong Kong Chinese person may still be considered to be a Chinese citizen even after obtaining foreign citizenship. Reference here. Dual citizenship is permitted in Hungary, which also has its own economic citizenship program for those who wish to become citizens. Reference: With effect from 1 July 2003 there are no restrictions on Icelandic citizens holding dual citizenship. Prior to that date, dual citizenship was only permitted in limited circumstances (such as where another citizenship was acquired alongside Icelandic citizenship at birth). Reference here. Dual citizenship is accepted in Iraq. Reference: Iraqi recognises dual nationality. Prior to then, Iraqi nationals who acquired another citizenship lost their Iraqi citizenship automatically. Some countries nationality laws (among them Japan’s) nonetheless require their nationals to choose between keeping that country’s citizenship or keeping their Iraqi citizenship. Reference here. Dual citizenship is accepted in Ireland, which also offers citizenship to those with Irish ancestry. Reference: If you are an Irish citizen, you may also hold dual citizenship, that is, citizenship of another country. You should be aware that certain countries do not recognise dual citizenship. If you wish to apply for dual citizenship, you should check with the authorities of the other country to ensure that your rights are protected. Reference here. Israel allows its citizens to hold dual or multiple citizenship. Jews are also permitted to claim citizenship under its Law of Return legislation. Reference: A dual national is considered an Israeli citizen for all purposes, and is entitled to enter Israel without a visa, stay in Israel according to his own desire, engage in any profession and work with any employer according to Israeli law. A dual national is not considered a foreign citizen under Israeli Security Service Law and is subject to a mandatory military service according to that law; is considered a citizen regarding the criminal liability of Israeli civilians according to the Israeli Penal Law. A dual nationality with citizenship of another country that does not allow multiple citizenship may experience problems with the other country of citizenship if Israeli citizenship is not renounced. Reference here. Dual citizenship is allowed in Italy, which considers anyone with Italian ancestry an Italian citizen and thereby eligible to apply for an ancestral passport. Both naturalized citizens and those holding an ancestral passport are not required to relinquish other citizenships. Reference: The holding of Italian citizenship alongside another citizenship, is article 7 of law number 555 of 1912. The provisions of this article gave immunity to some living Italian children from the citizenship events of their fathers. If the child was born to an Italian father in a jus soli country, the child was born with the Italian citizenship of the father and also with the citizenship of the country where he or she was born. That is to say that the child was born as a dual citizen. Children born with dual citizenship in this form were allowed to maintain their dual status in the event that the father naturalised later, thus parting with Italian citizenship. Moreover, Italy has not imposed limitations on the number of generations of its citizens who might be born outside Italy, even as holders of citizenship foreign to Italy. Reference here. Dual citizenship is accepted in Ivory Coast. Reference: In Côte d’Ivoire (Ivory Coast), dual citizenship means possession Côte d’Ivoire citizenship along with citizenship of another country. The Côte d’Ivoire law provides an opportunity for foreign citizens to acquire Côte d’Ivoire citizenship without renouncing their original one and allows citizens of Côte d’Ivoire to acquire foreign citizenship alongside their original (Côte d’Ivoire) citizenship; thus dual citizenship is allowed in Côte d’Ivoire. Reference here. Reference: Dual citizenship is recognized in Jamaica. The Jamaican Constitution does not specifically refer to dual citizenship, but it does not prohibit citizens from acquiring a second nationality. Jamaican law states that any Jamaican who acquires a foreign citizenship will be subject to all the responsibilities of the new citizenship and cannot claim any exemptions on the basis of their Jamaican nationality. Reference here. Jordan accepts dual nationality. Those who had once given up their citizenship to take up another may apply to have it reinstated if they wish. Reference: A Jordanian who acquires the nationality of a foreign State may retain his Jordanian nationality unless he renounces it in accordance with the provisions of this Law. The Council of Ministers may, on a proposal of the Minister of Internal Affairs, restore Jordanian nationality to a Jordanian who has renounced his Jordanian nationality to acquire another nationality in accordance with the provisions of this Law and who applies to the Minister of Internal Affairs for his nationality to be restored. Reference here. Dual citizenship is permitted in Kenya. Reference: Kenya recognizes dual citizenship. Dual citizenship shall be part of the many rights Kenyans will enjoy. According to Chapter 3 of the new Constitution, the law/legislation governing dual citizenship including implementing procedures however, must be prepared by Government and Parliament before the right is effected. Reference here. Reference: There has been no restriction on multiple citizenship in The Republic of Lebanon since 1 January 1926. Thus, foreigners who acquire Lebanese citizenship and Lebanese citizens who voluntarily acquire another citizenship keep their previous citizenship (subject to the laws of the other country), as was the case before that date. Since many nationality laws now allow both parents to transmit their nationality to their common child (and not only the father, as used to be often the case), many children automatically acquire multiple citizenship at birth. Reference here. Dual citizenship is recognized in Latvia. Reference: On May 9, 2013 the Latvian Saeima (Parliament) adopted changes, effective October 1, 2013, to the laws to allow dual citizenship and most Latvians living in the USA and other countries may be eligible to apply for and receive Latvian citizenship while retaining other citizenship they may hold. Reference here. Dual citizenship is accepted in Libya. Reference: It is legally possible for Libyans to have dual nationality. The Nationality Law stipulates that a Libyan citizen can obtain permission from the Libyan government to acquire a foreign nationality.7 No articles in the Nationality Law concern renunciation of Libyan nationality. Article 11 might be interpreted as a possibility for dual nationality for children of a Libyan mother who is married to a non-Libyan father. Dual nationality is in fact very common in Libya. Many ministers and other influential people are dual nationals. One source speaks of tens of thousands of dual nationals who were forced to flee Libya during the Qadhafi regime because they faced persecution. Reference here. Reference: Even though Luxembourg accepts dual citizenship for its nationals, Luxembourg has not signed any bilateral agreement with any other country. Please note that applicants not being Luxembourg nationals should always verify with the competent authorities (embassy, consulate) of their country of citizenship whether the law of this first country also accepts the principle of dual (or multiple) citizenship. Luxembourgian nationals to have a dual citizenship by acquiring the nationality of a third country. Luxembourgian nationals having lost their citizenship while acquiring the nationality of a third country before the law of 10/23/2008 to recover it. Reference here. Macedonia allows dual citizenship. Such citizens are regarded exclusively as Macedonian while in the country. Reference: Macedonian citizenship is primarily based upon the principle of jus sanguinis (right of blood). According to the Law of Citizenship 1992, one may hold Macedonian citizenship and another citizenship from another state. However, within Macedonia, the person would be considered exclusively a Macedonian citizen, unless otherwise stipulated by an international agreement. Reference here. Dual citizenship is recognized in Maldives. Dual citizenship is accepted in Malta, which grants citizenship to those under its $1 million economic citizenship program, usually given within a year. Reference: With effect from 10 February 2000, there are no restrictions under Maltese law on its citizens holding other citizenships. Dual citizens are entitled to hold a Maltese passport. Reference here. Dual citizenship is accepted in Mauritius. Reference: The Mauritian legislation allows for dual nationality and a Mauritian citizen does not lose his/her Mauritian nationality automatically upon a marriage/dissolution of marriage. Reference here. Dual citizenship is recognized in Mexico, but all citizens must enter and leave the country on his Mexican passport. Those with dual nationalities may also be barred from making certain investments in the country. Reference: The Mexican nationality law acknowledges that a Mexican by birth may possess another nationality. If that is the case, however, such an individual must always enter and leave the country as a Mexican (by presenting a Mexican proof of citizenship). All Mexican nationals by birth who possess another nationality cannot be elected for or work in public office only in those cases that the law clearly establishes that they must not acquire another nationality. If in such a case, she or he can request a Certificate of Nationality from the government, renouncing the other nationality. Reference here. Reference: A person having a dual nationality does not lose his Moroccan nationality. However, that many problems for people who also have nationality of countries that do not allow their nationals to have multiple citizenship. Reference here. Dual citizenship is allowed in Nauru. Reference: A Nauruan may hold the citizenship of one or more countries other than Nauru. Subject to regulations, a Nauruan who applies for the citizenship of another country does not, by reason only of such application or the granting of the application, lose Nauruan citizenship. Reference here. New Zealand permits dual citizenship, but such citizens could lose their New Zealand passports if they take actions that are against country’s interests. Reference: New Zealand has permitted dual or multiple citizenship since the creation of New Zealand citizenship, although dual citizens who actively acquired or exercised their other citizenship could lose their New Zealand citizenship if their continued citizenship was judged “not conducive to the public good”. The modern wording is similar; dual citizens may lose New Zealand citizenship by acting “in a manner that is contrary to the interests of New Zealand”. 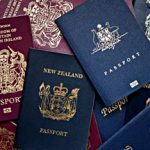 A New Zealand citizen who holds another citizenship may renounce their New Zealand citizenship, although this may not be registered if they reside in New Zealand or the country is at war. New Zealand citizenship was granted only to British subjects (exceptions could be made for married women and minors); therefore, New Zealanders who lost British subject status before 1949 were not necessarily entitled to automatic New Zealand citizenship and so would have been required to apply for naturalisation. Reference here. Palau citizens are allowed to hold dual citizenship. Reference: Palauan citizens are allowed to hold dual citizenship, and give citizenship at birth to people with Palauan parents. The proposed wording was: A person born of parent, one or both of whom are of recognized Palauan ancestry, is a citizenship shall not affect a person’s Palauan citizenship, nor shall a person of recognized Palauan ancestry be required to renounce United States citizenship to become a naturalized citizen of Palau. Persons of other foreign nations may retain their Palauan citizenship or become naturalized Palauan citizens as provided by law. Palauan citizen may renounce their Palauan citizenship. Announcements made prior to the effective date of this amendment are not affected by this amendment. Reference here. Pakistan allows citizens to hold citizenship from just 16 countries, including Australia, Belgium, Canada, France, Iceland, New Zealand, Sweden, Switzerland, the United Kingdom, and the United States. However, such citizens do not have certain voting rights, and are barred from serving in the military, holding certain public offices and taking some civil servant jobs. Reference: Holding dual citizenship was not permitted before in Pakistan. But now the government of Pakistan recognizes and allows its citizens to also hold citizenships of 16 countries, including Australia, Belgium, Canada, France, Iceland, New Zealand, Sweden, Switzerland, the United Kingdom, the United States, and others. Reference here. Dual citizenship is possible but not officially recognized in Palestine. Dual citizenship is technically not accepted in Panama, but the government requires all naturalized citizens to take an oath to renounce their first citizenship – an oath that most countries, including the United States, do not recognize. Nevertheless, Panama does offer its Friendly Nations Visa, which can be easily obtained, and which grants permanent residency leading to full citizenship to those from a list of 50 countries with which it has economic and professional ties. These countries are mostly Western nations. Reference: Citizenship in Panama is primarily based upon jus soli. Panama permits dual citizenship. Although naturalization as a Panamanian citizen states there should be renunciation of the previous citizenship, in practice many people retain two citizenships. Reference here. Paraguay is one of the world’s easiest countries from which to get second citizenship. Reference: Dual citizenship in Paraguay is allowed (if your country of origin allows it), so no difficulties should occur if you are originally an American or Canadian, for instance. Reference here. Peru allows those from other Latin American countries and Spain to retain their nationality upon receiving Peruvian citizenship. In practice, dual citizenship is also permitted in most cases. Reference: In common with many other Ibero-American countries, Peru’s 1993 constitution explicitly states that nationals of Latin American countries and Spain do not lose their nationality upon acquiring Peruvian citizenship. In practice, Multiple citizenship is acknowledged and accepted by Peru and its consular and diplomatic staff. Reference here. Dual citizenship is recognized in the Philippines, though it is almost impossible for foreigners to obtain citizenship. However, Filipinos who get a second citizenship will not lose their Philippine nationality, and if they do, they may apply to have it reinstated. Reference: Before the passage of R.A. 9225, dual citizenship of some Filipinos already existed as result of the operation of nationality laws. For example, a child born in the United States of America of Filipino parents is an American citizen under US law, and a Filipino citizen under Philippine law. The child’s American citizenship is derived from the principle of jus soli or place of birth, while his Philippine citizenship is derived from the principle of jus sanguinis or citizenship of his parents. The passage of R.A. 9225 makes it possible for Filipinos to hold dual citizenship through means other than by birth. Reference here. Dual citizenship is permitted in Portugal, which also has a program that offers residency to those who invest in the country’s real estate. Reference: Portugal allows dual citizenship. Hence, Portuguese citizens holding or acquiring a foreign citizenship do not lose Portuguese citizenship. Similarly, those becoming Portuguese citizens do not have to renounce their foreign citizenship. Reference here. Romania allows its citizens to hold dual citizenship. Such citizens do not have to establish residency in Romania, and are given the same rights as non-dual citizens. Reference: Romanian citizens currently have the right to hold dual citizenship. Romanian citizens who apply for dual citizenship are not required to establish their residency in Romania and, if accepted, are granted all the same rights as non-dual citizens. The Romanian policy on dual citizenship is irrelevant to other states policy. In order to successfully become a dual citizen of Romania, a person must also meet the requirements of dual citizenship in the other country. Reference here. Dual citizenship is permitted in Russia, but dual nationals are required to inform the authorities of their status. Reference: The procedure necessary for declaring dual citizenship remains unclear. Russia’s Federal Migration Service, which is tasked with collecting the disclosures, has yet to issue any formal guidance on the law, and Russians affected by the law have 60 days after that date to report foreign passports and residence permits. Reference here. Dual citizenship may be allowed in Samoa. Reference: At any time, a Samoan citizen who is also a citizen or intends to become a citizen of any other state which does not permit dual citizenship may make a declaration renouncing their Samoan citizenship. Reference here. Dual citizenship is allowed in Serbia, which also has a citizenship-by-descent program. Reference: Serbia permits dual citizenship. Serbian citizenship is based primarily upon the principle of jus sanguinis (right of blood). Reference here. South Africa allows dual citizenship, but citizens above the age of 18 who acquire a second passport must first apply to retain their South African nationality, or risk losing it. However, naturalized citizens are not allowed to apply for such a retention. All dual citizens are required to enter and leave the country on their South African passports. Reference: Prior to 2004, South Africa in principle did not recognise the multiple citizenship of its nationals unless the citizen applied for an exemption or permission letter under a 1995 law permitting South African citizens to travel using foreign passports. Since 2004, South African dual nationals may travel without hindrance as long as they enter and leave South Africa on their South African passports. Dual nationals may petition for temporary, emergency or “permanent” South African passports for this purpose. However, a South African citizen who by a formal and voluntary act acquires the citizenship of another country, automatically loses his or her South African citizenship unless they apply for, and receive permission to retain their South African citizenship before acquiring the citizenship of another country. A naturalised citizen however cannot apply for such a retention. South African citizens under the age of eighteen (18) years are exempt and do not require permission as long as they acquire the foreign citizenship before their eighteenth (18th) birthday. Reference here. Sri Lanka permits dual citizenship. Reference: In Sri Lanka, dual citizenship is applicable to a person whose citizenship of Sri Lanka has ceased under sections 19, 20 or 21 of the Citizenship Act No. 18 of 1948 or a person whose citizenship of Sri Lanka is likely to cease. Reference here. St Kitts and Nevis recognizes dual citizenship, which has a citizenship-by-investment program for those who wish to become citizens. There is no residence requirement, and individuals are not required to visit the country to process their citizenship application. Reference: Dual citizenship is permitted and there is no residence requirement. It is not necessary to visit St. Kitts to process the 2nd citizenship application, but we do recommend you visit the island if you have chosen the Real Estate option, to select your property. And, if you want to reside in St. Kitts there are no restrictions on doing so. Reference here. St. Lucia allows dual citizenship. Reference: As a citizen of Saint Lucia, you are allowed to hold dual citizenship and are not therefore required to renounce your citizenship of any other country. Moreover, as a citizen of Saint Lucia, you are eligible to be issued with a passport which allows visa-free travel to about 98 countries and territories worldwide, including the entire EU making Saint Lucian citizenship exceptionally appealing. You would also be entitled to residency in Saint Lucia and/or the 14 other member states of the Caribbean Community (CARICOM). Reference here. Sudan recognizes dual citizenship. However, citizens who take up South Sudanese nationality will lose their Sudanese passport. Reference: The law allows for dual nationality generally, but provides that any person who acquires South Sudanese nationality, either in fact or in law, will lose their Sudanese nationality. This provision raises the risk that the law may be interpreted to mean that any person who would qualify for citizenship under South Sudanese law might lose their Sudanese nationality, whether or not they wish to acquire South Sudanese nationality or whether the South Sudanese government recognises them in practice. If this were the case it might lead to statelessness. Reference here. Sweden allows dual citizenship for both native-born and naturalized citizens. Reference: With effect from 1 July 2001, a Swedish citizen acquiring a foreign citizenship does not lose Swedish citizenship. Former Swedish citizens who lost Swedish citizenship prior to this date (upon naturalisation in another country) were given a two-year period to re-acquire Swedish citizenship by declaration. Children of former Swedish citizens were also eligible to acquire Swedish citizenship by declaration. The deadline for submission of applications was 30 June 2003. The changes to the law also mean that foreigners seeking naturalisation as a Swedish citizen do not need to renounce their former citizenship. They may retain it if the law of the other country permits them to do so. Reference here. Switzerland permits dual citizenship for both native-born and naturalized citizens. Reference: There has been no restriction on multiple citizenship in Switzerland since 1 January 1992. Thus, foreigners who acquire Swiss citizenship and Swiss citizens who voluntarily acquire another citizenship keep their previous citizenship (subject to the laws of the other country), as was the case before this date. An estimated 60% of Swiss nationals living abroad in 1998 were multiple citizens. Even though Swiss nationality law permits multiple citizenship, a Swiss national who also holds another country’s citizenship may be required to renounce the foreign citizenship, under the foreign country’s nationality law. Reference here. Syria recognizes dual citizenship, but becoming a national is almost impossible, as it requires one to not only marry a Syrian, but also live in the country for 10 years. It is also similarly difficult giving up Syrian citizenship. Reference: Syria allows dual citizenship, but if a person’s original citizenship is Syria, then he is fully liable to the Syrian law. Reference here. Reference: Any person who ceases to be a citizen of Trinidad and Tobago under the former Constitution by reason of his failure to renounce his citizenship of another country shall, if the citizenship of that other country was acquired involuntarily or by marriage, be deemed not to have ceased to be a citizen by reason of such failure; and, unless he has since acquired citizenship of a foreign country by voluntary act other than marriage, or he has otherwise lost his citizenship under section 14, he shall continue to be a citizen under this Act. Reference here. Dual citizenship is accepted in Turkey, but citizens must inform the government if they choose to take up another nationality. Dual citizens are not required to enter and leave the country on their Turkish passport. Reference: Dual citizenship is possible in Turkey because there are no uniform rules of international law relating to the acquisition of nationality. Each country has its own laws regarding nationality, and its nationality is conferred upon individuals on the basis of its own domestic policy. Individuals may have dual nationality by choice or by the automatic operation of these different (and sometimes conflicting) laws. Reference here. The United Kingdom allows dual citizenship. However, citizens of the British Overseas Territories may not be able to gain British citizenship if they take up another nationality. Reference: There is no general restriction in UK law on a British national being a citizen of another country. If a person has British nationality and is also a national of a country that does not allow dual nationality, the authorities of that country may regard the person as having lost that nationality or may refuse to recognize the British nationality. The UK is a signatory to the Convention on the Reduction of Cases of Multiple Nationality and on Military Obligations in Cases of Multiple Nationality. Reference here. Dual citizenship is allowed in Uruguay, where citizenship is based on the principle of jus soli. Reference: Uruguay has permitted dual citizenship since 1919. Uruguayan citizenship is primarily based upon the principle of jus soli (right of the soil). Reference here. Dual citizenship is allowed in Vanuatu. Reference: This Part applies to a person who intends to apply for Vanuatu citizenship and hold dual citizenship as recognised by subarticle of the Constitution of the Republic of Vanuatu. Reference here. Dual citizenship is recognized in Zambia. Former citizens who lost their nationality before dual citizenship was permitted may apply to have it reinstated. Reference: A citizen shall not lose citizenship by acquiring the citizenship of another country. A citizen who ceased to be a citizen, before the commencement of this Constitution as a result of acquiring the citizenship of another country, shall be entitled to apply, as prescribed, to the Citizenship Board of Zambia, for citizenship and the Board shall bestow citizenship on that person. Reference here. The United States recognizes dual citizenship, although it discourages it due to the problems it could cause. Citizens who serve in a foreign armed forces or work for a foreign government may lose their US citizenship. Reference: The U.S. Government recognizes that dual nationality exists but does not encourage it as a matter of policy because of the problems it may cause. A U.S. national may acquire foreign nationality by marriage, or a person naturalized as a U.S. national may not lose the nationality of the country of birth. U.S. law does not mention dual nationality or require a person to choose one nationality or another. Also, a person who is automatically granted another nationality does not risk losing U.S. nationality. However, a person who acquires a foreign nationality by applying for it may lose U.S. nationality. In order to lose U.S. nationality, the law requires that the person must apply for the foreign nationality voluntarily, by free choice, and with the intention to give up U.S. nationality. Reference here. Dual citizenship is strictly forbidden in Andorra, where one is required to reside in the country for 20 years in order to gain citizenship. Those who lose their citizenship by acquiring another passport may get it back if they relinquish the other nationality. Reference: Dual citizenship in Andorra is not recognized. Due to the fact that the Andorran government has no way of knowing if a person has become a citizen of another country, dual citizenship can arise through default. For those who must be sure of no dual citizenship, it is best to contact the Andorran government and inform them of the change of citizenship. Reference here. Azerbaijan does not allow dual citizenship, but the President may grant it to individuals who have special importance to the country. Reference: Azerbaijan does not allow dual citizenship, and anyone who voluntarily applies and obtains foreign citizenship automatically loses Azerbaijani citizenship. However Azerbaijani immigrants wishing to renounce their citizenship in order to acquire citizenship in another country (such as Germany, which requires denunciation of previous citizenships, or Japan) must apply for denunciation. That process can last up to a year. The only exception is that the President of Azerbaijan may grant dual citizenship to persons of special importance, and that person will not lose Azerbaijani citizenship by retaining the foreign citizenship obtained by him or her, or lose his or her original foreign citizenship while being granted Azerbaijani citizenship. Reference here. Bahamas does not allow dual citizenship. Minor citizens who obtain a second passport at birth are permitted to maintain both nationalities until the age of 21, upon which they must decide on which citizenship to retain. Reference: Dual citizenship is permitted only under the following limited circumstances. Those that obtained dual citizenship due to birth abroad may hold on to dual citizenship up to age 21. After reaching age 21, the person has 12 months to renounce the foreign citizenship, otherwise, the Bahamian citizenship is revoked. Reference here. Bahrain does not recognize dual citizenship, except for those from a few Gulf states. The country also has a history of granting citizenship to those who make large contributions to the kingdom. Reference: The Bahrain Government does not recognize dual nationality. Bahraini authorities have confiscated the U.S. passports of dual (Bahrain/US) nationals when they applied for a Bahrain passport. Reference here. Dual citizenship is not recognized in Belarus. Reference: Belarus has no foreign citizenship, or will lose the foreign citizenship after acquisition of Belarusian citizenship, or has renounced his citizenship. Reference here. The Republic of Botswana does not allow dual citizenship. Those who obtain a second nationality at birth are required to give up one at the age of 21. Reference: Dual citizenship applies to people who are Botswana citizens by birth descent are also citizens of other countries (dual citizenship). These people are required to renounce to other citizenship upon attainment of age 21 years. Reference here. Dual citizenship is not accepted in Bhutan. Reference: Not recognized. Reference here. Dual citizenship is not recognized in China, although enforcement of this regulation is poor. Reference: The nationality law states that China does not recognize dual nationality with any other country although the clause can be interpreted differently based on the residency of a Chinese national. Reference here. Cuba does not recognize dual citizenship. Reference: Dual citizenship is not recognized. Therefore, when a foreign citizenship is acquired, the Cuban one will be lost. Formalization of the loss of citizenship and the authorities empowered to decide on this is prescribed by law. Reference here. Dual citizenship is not recognized in Congo. Those who obtain another citizenship at birth are required to give it up at the age of 21 or lose their Congolese citizenship. Reference: Dual citizenship is not recognized by the Democratic Republic of Congo . However, the same source stated that a “child born abroad, who obtains the citizenship of the country of birth may retain dual citizenship until their 21st birthday.The person then has 12 months to renounce foreign citizenship or Congolese citizenship will be revoked”. Reference here. Djibouti does not allow dual citizenship, but enforcement of this rule is weak. Reference: Applicants for Djiboutian citizenship must be at least eighteen (18) years and staying in the country at the time of applying. In Djibouti no one is eligible in dual citizenship as it is not recognized in the country. Reference here. Dual citizenship is not permitted in Ethiopia. Reference: Dual citizenship is holding a citizenship of a country alongside another country’s citizenship. In Ethiopia dual citizenship is not recognized; an individual cannot hold Ethiopian citizenship alongside another country’s citizens. He or she must renounce foreign citizenship in order to obtain Ethiopian citizenship. Reference here. Haiti does not recognize dual citizenship. Children of Haitian parents who gain a foreign passport by birth are allowed to keep both citizenships until the age of 18, upon which they must choose whether to keep or lose their Haitian citizenship. Reference: In recent years, there has been discussion about a constitutional amendment to change Haiti’s stance against dual nationality; yet while feelings have begun to lean towards acceptance of dual citizenship, policy has yet to change. Legally, the 1987 constitution still stands, which states, “Dual Haitian and foreign nationality is in no case permitted.” The constitution also automatically negates Haitian citizenship with the acquisition of foreign citizenship, which strongly affects today’s Haitian Diaspora. However, there is an exception. A child with Haitian parents born outside of Haiti may dually acquire the citizenship of their birth country. At the age of eighteen, the child must renounce one of their nationalities. Reference here. India does not recognize dual citizenship, and those who by naturalization gain citizenship in another country must give up their Indian passport. Owing to requests by its diaspora, however, the country has an Overseas Citizenship of India Scheme, but this program is not dual citizenship, and it does not confer political rights. Reference: The Indian constitution does not allow dual citizenship or simultaneously holding two passports of different countries. Automatic loss of Indian citizenship covered in Section 9(1) of the Citizenship act 1955, provides that any citizen of India who by naturalisation or registration acquires the citizenship of another country shall cease to be a citizen of India.” This means you have to give up Indian passport and citizenship to the nearest Indian embassy, should you become citizen of foreign country. Reference here. Indonesia does not permit dual citizenship. Those who gain a foreign citizenship at birth are allowed to maintain both nationalities, but will have to renounce one at the age of 18. Reference: The Indonesian nationality law is based on jus sanguinis and jus soli. The Indonesian nationality law does not recognize dual citizenship except for persons under the age of 18 (single citizenship principle). After reaching 18 years of age individuals must choose one citizenship (limited double citizenship principle). Reference here. Iran technically does not allow dual citizenship, but in practice, dual citizens are regarded as Iranian nationals only. Minor citizens may be allowed to hold more than one passport, but they are required to inform the government if they wish to keep their non-Iranian citizenship after the age of 18. Reference: Iran does not recognize dual citizenship as such. For the Iranian government, in practice, dual citizens are Iranian citizens only. However, article 977 of the Civil Code of Iran deals with multiple citizenship. As a consequence of Paragraphs 4 or 5 of Article 976, some Iranian minors may have multiple citizenship. If they wish to retain the non-Iranian nationality after age 18, they have to inform Iran’s Ministry of Foreign Affairs. Reference here. Japan does not recognize dual citizenship, and requires all minors who maintain multiple nationalities to relinquish their non-Japanese passport once they reach adulthood. Reference: It is generally difficult to have dual citizenship of Japan and another country, due to the provisions for loss of Japanese nationality when a Japanese national naturalizes in another country, and the requirement to renounce one’s existing citizenships when naturalizing in Japan. Reference here. Dual citizenship is not accepted in Kazakhstan. Reference: Dual citizenship is not recognized by the Republic of Kazakhstan. The Republic of Kazakhstan allows for the return to Kazakhstan of individuals and their descendants who were forced to leave Kazakhstan during large periods of repression and forced collectivization, other periods of inhuman political actions and also the return of ethnic Kazakhs living in other countries. Reference here. Dual citizenship is not allowed in Kuwait. Reference: Kuwait does not recognize dual nationality. Reference here. Kyrgyzstan does not permit dual citizenship, but citizens are allowed to acquire Russian citizenship. Reference: Kyrgyzstan does not recognize dual citizenship with any of the neighbouring countries (China, Uzbekistan, Kazakhstan and Tajikistan). Otherwise, dual citizenship is dependent on whether there is an intergovernmental agreement. Kyrgyz can obtain Russian citizenship under a simplified procedure3 , but dual citizenship is not allowed (Norwegian Embassy in Moscow, e-mail correspondence September-October 2011). However, many Kyrgyz have obtained Russian citizenship without being released from their Kyrgyz citizenship (Abdrakhmanova & Kachiev 2009). Reference here. Laos does not recognize dual citizenship. Reference: The Lao People’s Democratic Republic does not authorize Lao citizens to bear several nationalities at the same time. Reference here. Dual citizenship is not recognized in Macau. Reference: Macau is considered a territory of China, and for the most part, follows China’s citizenship laws. China does not recognize dual citizenship. As a former colony of Portugal, it is technically possible to have dual citizenship in both China and Portugal for those with a previous or ongoing relation to Macau. Reference here. Dual citizenship is not accepted in Malaysia. Reference: A person can become a citizen of Malaysia either by registration or naturalisation. In cases by registration, where a person is by operation of law is a citizen but have yet to be registered, such person is entitled to citizenship upon application and be registered as a citizen of Malaysia. For cases by naturalisation, this refers to the process of admitting a person not a citizen of Malaysia to citizenship. This is subjected to the requirements and conditions of the Federal Government. Any person holding Malaysian citizenship is also disallowed to hold any other country’s citizenship. Malaysia does not allow dual citizenship. Reference here. The Marshall Islands does not accept dual citizenship. Minor citizens who obtain a foreign passport at birth can keep both nationalities, but will have to choose which one to keep at the age of 17. Reference: Dual citizenship is not recognized in the Marshall Islands but have exceptions that a child born abroad of Marshallese parents who obtains the citizenship of the country of birth is allowed to retain dual citizenship until the age of 17. Upon reaching 17, the person has one year to renounce the other citizenship or Marshallese citizenship will be lost. Reference here. Dual citizenship is not recognized in Micronesia, and all citizens who acquired a foreign nationality at birth are required to give up one of his passports within three years of his 18th birthday. Reference: Article III, Section 3 of the Constitution, as well as 7 FSMC § 201, prohibit dual citizenship, stating that “A citizen of the Federated States of Micronesia who is recognized as a citizen of another nation shall, within 3 years of his 18th birthday, or within 3 years of the effective date of this Constitution, whichever is later, register his intent to remain a citizen of the Federated States and renounce his citizenship of another nation. If he fails to comply with this Section, he becomes a national of the Federated States of Micronesia.” Reference here. Dual citizenship is not recognized in Monaco. Reference: Monaco strictly forbids any holding of dual nationality, there are multiple ways that individuals may lose their Monaco citizenship. Citizenship may be forfeited if the individual acquires a separate foreign nationality, performs military service for a foreign nation without the permission of the Monaco government, or is otherwise deemed to have compromised or harmed the security of the country. Reference here. Dual citizenship is not recognized in Mongolia. Reference: Mongolian citizens shall not be allowed to hold citizenship of more than one foreign nation at the same time. If a foreigner wishes to acquire Mongolian citizenship, he or she shall be required to have lost citizenship of the relevant nation. If legislation of relevant nation provides for loss of its citizenship on acquisition of citizenship of another nation, then cessation of citizenship may not be required. Reference here. Mozambique does not recognize dual citizenship, except for minors who gain a foreign citizenship at birth. However, such individuals will have to renounce one of their two nationalities at the age of 18. Reference: Dual citizenship in Mozambique refers to holding a foreign citizenship alongside the Mozambique citizenship. Dual citizenship is only accepted for a child born abroad to Mozambique citizen(s) who acquire citizenship of another country by birth up to the time when he / she makes eighteen (18) years. At the age of eighteen (18), the child must choose one citizenship. On the other hand Mozambique citizenship can be acquired by birth, marriage, blood relation, naturalization and adoption, the Ministry of the Interior is the government institution responsible for immigration-related issues. Reference here. Dual citizenship is not recognized in Myanmar. Naturalization is also difficult, as one would have to prove he has familial ties to the country. Reference: Dual citizenship is not recognised by Myanmar. Naturalization in another country immediately voids Myanmar citizenship. Foreigners cannot become naturalised citizens of Myanmar, unless they can prove a close familial connection to the country. Reference here. Dual citizenship is not permitted in Nepal. Reference: There is a total prohibition on dual nationality in Nepal. To lawfully be issued a citizenship certificate, a person must have no other allegiances. If a Nepal citizenship certificate holder, at any time, possesses any other nationality or citizenship the Nepal citizenship certificate issued to him automatically becomes invalid or void. Reference here. North Korea does not recognize dual citizenship. Reference: Due to complications within the country itself, dual citizenship is not permitted in North Korea at this moment in time. However, North Korean citizens who flee to South Korea automatically become South Korean citizens. Also, North Korean citizens are not allowed to leave the country without permission from the Government. Reference here. Oman does not allow dual nationality unless royal permission is granted. Reference: An Omani is not allowed to waive his citizenship in order to obtain another nationality, unless after making sure that he/she has fulfilled all commitments towards the Sultanate. Children do not automatically lose Omani nationality following their father’s unless the father applies for the same provided that the law of the country whose nationality he obtained gives the children the right to nationality. Reference and official decree here. Papua New Guinea does not recognize dual citizenship, and minor citizens who acquire another nationality at birth are required to choose which citizenship to retain at the age of 19. Reference: Notwithstanding the succeeding provisions of this Part but subject to Subsection, no person who has a real foreign citizenship may be or become a citizen, and the provisions of this Part shall be read subject to that prohibition. Subsection, does not apply to a person who has not yet reached the age of 19 years, provided that, before he reaches that age and in such manner as is prescribed by or under an Act of the Parliament, he renounces his other citizenship and makes the Declaration of Loyalty. A person who has a real foreign citizenship and fails to comply with Subsection, ceases to be a citizen of Papua New Guinea when he reaches the age of 19 years. Reference here. Dual citizenship is not permitted in Qatar. Reference: Qatari law does not recognize dual nationality. Persons who possess Qatari citizenship in addition to U.S. citizenship is are considered Qatari citizens by the State of Qatar and are subject to Qatar’s law. Reference here. San Marino does not recognize dual citizenship, and naturalized citizens are required to maintain continued residence in the country for at least 30 years. Reference: To obtain the citizenship it is necessary to renounce any other citizenship and to have effective continued residence for at least 30 years in the territory of the Republic. Reference here. Dual citizenship is not permitted in Saudi Arabia, but female citizens who marry foreign nationals are allowed to keep their Saudi citizenship. Reference: Dual citizenship is not recognized in Saudi Arabia, except for those Saudi woman who marries a foreign citizen may retain her Saudi citizenship unless prohibited by laws of the spouse’s home country. Reference here. Singapore does not permit dual citizenship, and those who intentionally take up citizenship in another country may lose their Singapore passports. Naturalized citizens and those claiming citizenship by descent are also required to give up all other nationalities. However, foreign nationals who are also Singapore citizens by birth may be allowed to hold on to dual citizenship, as long as they do not exercise their foreign citizenship rights. Reference: The position of the Singapore Government is that dual citizenship is not allowed. … A dual citizen may have acquired citizenship by birth in a foreign country, by descent from a foreign citizen parent, or by naturalisation. Singapore citizens who voluntarily and intentionally acquire citizenship of a foreign country after the age of 18 may be deprived of their Singapore citizenship by the Government. Foreigners who naturalise as Singaporean citizens are required to renounce all foreign citizenships. Persons who are born outside of Singapore and have at least one parent who is a Singapore citizen may register with a Singapore consulate within a year to acquire Singapore citizenship by descent. However, such persons must renounce their foreign citizenship, if any, before reaching 22 years of age. The Constitution of Singapore is silent on a Singapore citizen who acquired citizenship by birth and is a foreign citizen by descent. So long as such a person refrains from exercising the rights of foreign citizenship, the Government has no grounds for depriving him of his Singapore citizenship and he may hold on to dual citizenship. Reference here. Slovakia allows dual citizenship on a limited basis, including for those who become Slovakian citizens at birth or through marriage, but it is generally not approved after a 2010 amendment that limited dual nationality. Reference: Slovakia passed a motion to amend the Citizenship Act to limit dual citizenship by barring Slovak citizenship for anyone applying to another country for citizenship. The amendment did not, however, bar dual citizenship for those who acquired it at birth or by marriage. Reference here. The Solomon Islands recognizes dual citizenship only on a limited basis. However, in general, naturalized citizens are required to relinquish all other nationalities within six months of becoming a citizen. Minor citizens who obtain a second passport by birth have until the age of 18 to choose which citizenship to keep. Reference: Dual citizenship is not recognized in Solomon Islands but have exceptions. Non-indigenous citizens of the Solomon Islands who possess a second citizenship have two years –or until the person reaches age 18, whichever comes later– to renounce this second citizenship or Solomon Island citizenship will be revoked. Persons who obtain Solomon Island citizenship have six months to renounce their former citizenship or Solomon Island citizenship will be revoked. Reference here. Dual citizenship is not permitted in Swaziland. Dual citizenship is not permitted in Tajikistan. Reference: Belonging of Tajkistan’s nationals to other state’s nationality is not permitted barring the cases fixed by the law and interstate treaties of Tajikistan. Reference here. Thailand does not accept dual citizenship. Minor citizens who gain a second passport at birth are allowed to maintain both nationalities, but must relinquish one by the age of 18. Female citizens who take up the nationality of their foreign spouse will lose their Thai citizenship, but they may regain it if their marriage ends in death or divorce. Reference: Dual citizenship is not recognized in Thailand. Only to, Child born abroad to Thai parents, who obtains the citizenship of the foreign country of birth, may retain dual citizenship until reaching the age of majority (18). At this point, person must choose which citizenship to retain. A Thai woman who marries a foreign national and acquires her husband’s citizenship has technically lost her Thai citizenship. Should the marriage end in death or divorce, the Thai national woman could regain her Thai citizenship. This is an unofficial dual citizenship designed to protect female Thai nationals. Reference here. Dual citizenship is not permitted in Tonga but you can apply to get it back again. Reference: At present, Tongan nationality may be obtained by birth in Tonga to a Tongan parent, by birth abroad to a Tongan parent, by marriage, and by naturalisation. A person born overseas to a Tongan parent automatically obtains Tongan nationality, even if he or she also has the nationality of his or her country of birth.In February 2008, two former Tongan citizens who had lost their Tongan nationality by obtaining the nationality of other countries (one had become an American, the other an Australian) were the first to re-obtain Tongan nationality through application on the basis of the 2007 Nationality (Amendment) Act. Re-obtaining citizenship in this way entails submitting an application to the King, having this application reviewed by the Minister for Immigration, and swearing an oath of allegiance. Reference here. Turkmenistan technically does not allow dual citizenship, but in practice, dual citizens are considered exclusively Turkmenistani. Reference: Citizenship of another State of a citizen of Turkmenistan shall not be recognized. If a citizen of Turkmenistan has a citizenship of another State, he or she shall be regarded exceptionally as a citizen of Turkmenistan in accordance with laws of Turkmenistan. Residence of a citizen of Turkmenistan in a territory of another State of itself does not entail loss of citizenship of Turkmenistan. Reference here. Dual citizenship is not allowed in Ukraine, and those who obtain Ukrainian citizenship are required to relinquish all other nationalities within two years. However, there are some Ukrainians who hold multiple citizenships, but the country considers such individuals as exclusively Ukrainian. Reference: Ukrainian law currently does not recognise dual citizenship. However, there are citizens of Ukraine who hold dual citizenship. Ukrainian law states that (after gaining Ukrainian citizenship) the new Ukrainian citizen must renounce its non-Ukrainian citizenship(s) within two years. 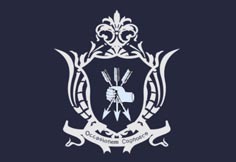 Within Ukrainian boundaries Ukrainian citizens who also hold multiple citizenships are considered to be solely Ukrainian citizens. Reference here. Dual citizenship is not recognized in Uzbekistan. Reference: Uzbekistan does not allow dual citizenship. Uzbeks living abroad could in theory meet the requirement of proving that they do not have dual citizenship upon entry, but this rarely happens in practice (U.S. Department of State 2010). It is unclear in which cases the Uzbek government might deny entry on this basis. Reference here. The UAE does not permit dual citizenship, except for those who acquire another citizenship at birth. Such citizens must enter and leave the country on their Emirati passport. Reference: The UAE Government does not recognize dual nationality. Children of UAE fathers automatically acquire UAE citizenship at birth and must enter the UAE on UAE passports. Reference here. Venezuela does not allow dual citizenship. Those who become citizens of another country at birth may keep both passports until the age of 25, upon which they must lose their foreign nationality or they will lose Venezuelan citizenship. Reference: Dual citizenship is not recognized in Venezuela except when a person reach the age of 25, at which time Venezuelan citizenship ceases if the foreign nationality is maintained. Reference here. Dual citizenship is not recognized in Vietnam. Reference: Vietnamese Government still does not recognise dual nationality – any person with Vietnamese citizenship (whether or not the person also possesses the citizenship of another country e.g. Australia) is regarded by the Vietnamese government firstly as a Vietnamese national. Reference here. Dual citizenship is not allowed in Yemen. Zimbabwe does not recognize dual citizenship. Reference: Dual citizenship Section repealed by section 2 of Act 1 of 1983. Reference here. Afghanistan recognizes dual citizenship only for those who had taken up new citizenship after fleeing the country because of political instability. Also, citizens who marry a foreign national do not have to give up their Afghan citizenship unless required by their spouse’s country. Reference: Afghanistan does not recognize dual citizenship except for those former citizen of Afghanistan, who fled the country due to political instability or war and has acquired new citizenship, may still hold “unofficial” Afghan citizenship. This is recognition that those who fled the country might someday want to return as Afghan citizens without losing new citizenship. The Afghani spouse of a foreign national is not required to renounce Afghan citizenship unless demanded by the spouse’s country. Reference here. Austria does not permit dual citizenship, except for those who acquire two citizenships at birth, and those who are unable by law to give up their citizenship at home. Austria also has an economic citizenship program that grants citizenship to those who make a direct investment of €10 million or more. Reference: In general, the Austrian Nationality Act does not allow dual citizenship except for persons who obtain two citizenships at the time they were born (e.g. a person born to Austrians living in the US acquires both Austrian and US citizenships at the time of birth). Thus, if a person acquires US citizenship, he/she usually has to renounce the actual citizenship he/she is holding. Reference here. Bosnia technically permits dual citizenship, but its laws limits dual citizenship only to countries with which it has a bilateral agreement. Reference: The Bosnian Law on Citizenship clearly provides for dual citizenship. The Dayton Peace Agreement, however, restricts that possibility to cases where there is a bilateral agreement approved by the Parliament of Bosnia and Herzegovina. This provision limits the scope of dual citizenship. Reference here. Bulgaria permits dual citizenship only for native-born citizens, and those who previously gave up their citizenship are allowed to get it reinstated. However, naturalized citizens are required to give up all other nationalities. Also, those seeking Bulgarian passports should, in particular, beware of unauthorized providers on the Internet. Reference: Bulgaria allows its citizens to hold foreign citizenship in addition to their Bulgarian citizenship. Some countries, however, do not permit multiple citizenship e.g. adults who acquired Bulgarian and Japanese citizenship by birth must declare, to the latter’s Ministry of Justice, before turning 22, which citizenship they want to keep. Reference here. Croatia recognizes dual citizenship for all ethnic Croatians who become citizens by birth or descent. Such citizens are regarded only as Croatian by the authorities. However, naturalized citizens are required to relinquish all other nationalities. Reference: The Republic of Croatia recognizes dual citizenship. However, Article 2 of the Law on Croatian Citizenship regulates the exclusivity of Croatian citizenship. This means that a Croatian citizen, who in addition to Croatia citizenship holds some other citizenship, is considered exclusively a Croatian citizen in terms of his rights and obligations and is equal to other Croat citizens before the authorities of the Republic of Croatia. Reference here. El Salvador recognizes dual citizenship for those who acquire Salvadoran citizenship at birth. Naturalized citizens, however, are required to renounce all other nationalities. Reference: Salvadorans by birth have the right to enjoy double or multiple citizenship. This right is not extended to those whose citizenship was acquired through naturalization. Reference here. Eritrea does not accept dual citizenship, but special arrangements can be made for native-born citizens who gain a foreign citizenship and wish to keep it. Reference: Dual citizenship is not recognized in Eritrea except when special arrangements may be made for Eritrean citizens by birth who wish to retain a foreign citizenship they have since acquired. Reference here. Estonia technically does not recognize dual citizenship, but its law also states that the citizenship of those who are citizens at birth is inalienable and cannot be taken away without consent. Naturalized citizens may also be allowed to maintain their existing nationalities, but they will lose their Estonian passport if they take up citizenship in another country. Reference: Although Estonian law generally does not permit dual nationality, Estonian law also provides that a person who has the right to Estonian citizenship from birth cannot have his/her citizenship taken away. Reference here. Dual citizenship is recognized in Georgia, but only if the President finds an individual to be of national interest, and grants it to him. Reference: The president of Georgia can grant citizenship to a citizen of a foreign country, dual citizenship, if he finds him important to the national interest of the state of Georgia. Thus, by decree of the president of Georgia, the foreign citizen who had been granted the citizenship of Georgia by declaration of the president will keep his foreign citizenship, dual citizenship, that was allowed for Georgian citizen only in this specific case. This way of granting Georgian citizenship also became a way for the president to enable Georgian citizens in the past, who left Georgia during the Soviet era, and their descendants who had been born out of Georgia, to reunite with their home state and reconnect with their origin, which was also considered as a national goal and the state interest. Reference here. If the other citizenship is the one of another EU country or of Switzerland. Non-EU- and non-Swiss citizens must usually renounce their old citizenship if they want to become German citizens. There are exceptions made for citizens of countries that do not allow their citizens to renounce their citizenship (e.g., Argentina, Bolivia, Brazil, Costa Rica. P.S. : In case of Brazil it is possible to renounce your citizenship through a requirement made in the Brazilian consulate if you already have acquired another citizenship voluntarily, but it is not required to do so; the following jus-soli countries allow renunciation only if the citizenship was acquired involuntarily by birth there to non-citizen parents: Dominican Republic, Ecuador, Guatemala, Honduras, México, Nicaragua, Uruguay), or if the renunciation process is too difficult, humiliating or expensive (e.g., Afghanistan, Algeria, Angola, Cuba, Eritrea, Iran, Iraq, Lebanon, Morocco, Nigeria, Syria, Thailand, Tunisia), or, rarely, in individual cases if the renunciation of the old citizenship means enormous disadvantages for the concerned person. If a German citizen acquires a non-EU or non-Swiss citizenship with the permission (“Beibehaltungsgenehmigung”) of the German Government (e.g., existing relative ties or property in Germany or in the other country or if the occupation abroad requires domestic citizenship for execution). The voluntary acquisition of a non-EU or non-Swiss citizenship without permission usually means the automatic loss of the German citizenship (but see Point 4). The permission is not necessary if the other citizenship is of another EU country or of Switzerland or if dual citizenship was obtained at birth. More Circumstances here. Dual citizenship is not recognized in Guatemala, but the country has dual citizenship agreements with some Central and South American countries. Reference: In Guatemala dual citizenship is not recognized but Guatemala maintains dual citizenship agreements with some countries of Central and South America. Reference here. Guyana accepts dual citizenship only for those who gain foreign citizenship through marriage. Reference: Dual citizenship is not recognized unless the second citizenship is obtained through marriage. The President may “by order” deprive an individual of Guyanese citizenship if he or she acquires the citizenship of another state in any other voluntary or formal manner, or if he or she exercises any exclusive rights granted to citizens of another country which are voluntarily claimed and exercised in that other country. Reference here. Liechtenstein allows dual citizenship for those who are citizens by descent. Naturalized citizens, however, are required to give up all other nationalities. Reference: Liechtenstein permits its citizens to acquire dual citizenship. For example, if a Liechtenstein citizen acquires a second citizenship in another country, that person is allowed to have Liechtenstein dual citizenship, assuming that the second country also permits dual citizenship. Reference here. Lithuania accepts dual citizenship under limited circumstances, such as minor citizens who are dual nationals at birth. He has acquired citizenship of the Republic of Lithuania and citizenship of another state at birth and he has not reached 21 years of age. Reference here. if the renunciation or loss of the citizenship of another state is not possible or cannot reasonably be requested, in other cases stipulated by the present Law. Reference here. Montenegro currently allows dual citizenship only with countries with which it has a bilateral agreement. Presently, Macedonia is the only country to have signed an agreement. Reference: Montenegro permits dual citizenship in very limited circumstances. Those who were dual citizens before Montenegro declared independence on June 3, 2006 may retain their dual citizenship. However, those acquiring dual citizenship after June 3 2006 may only keep their dual citizenship with countries that have signed a bilateral agreement with Montenegro. Currently, the only country that has done so is Macedonia. Reference here. Namibia technically does not permit dual citizenship, but its law also states that those who become citizens by birth or descent cannot have their citizenship taken away without consent. However, naturalized citizens must give up all other nationalities. Reference: Section 26 of the 1990 Act states that no Namibian citizen may also be a citizen of a foreign country. However, this section of the act states that it is subject to the provisions of other laws. In a 2011 High Court case, Judge Dave Smuts ruled that a Namibian citizen by birth or descent could not be deprived of citizenship without consent, effectively legalising multiple citizenship for those citizens. Applicants for naturalisation, however, must still renounce all their other citizenships under Section 5(1)(g) of the Citizenship Act. Reference here. The Netherlands accepts dual citizenship on a limited basis, including for those who gain foreign citizenship at birth, and for naturalized citizens who receive an exemption from the requirement to relinquish all other nationalities. Reference: Dual citizenship is permitted on a limited basis. *Those who obtained dual citizenship at birth. *Those who acquire Dutch citizenship through the option procedure. exemption from the requirement to renounce the prior citizenship. Nicaragua does not accept dual citizenship, except for individuals from Central American countries and nations with which it has dual citizenship agreements. Reference: Dual nationality in Nicaragua is not recognized in Nicaragua. Exceptions are Countries of Central America and other countries with which Nicaragua has agreements of dual citizenship. No agreement exists with the United States. Reference here. Dual citizenship is recognized only for Nigerian citizens by descent. Reference: It is currently legal in Nigeria to hold dual citizenship (also referred to as dual-nationality). This policy was approved in the early nineties by General Ibrahim Babangida who was then then Head of State, after an exhaustive investigation and committee recommendation. Reference here. Norway does not permit dual citizenship, except for those who receive two nationalities from each parent at birth, those who receive citizenship in another country without applying for it, such as through marriage, and those who cannot be released from their other citizenship. you wish to acquire Norwegian citizenship, but for various reasons cannot be released from your previous citizenship. To become a Norwegian citizen, you must in principle renounce your previous citizenship, but some can be exempted from this requirement. If one of your parents is Norwegian, you probably automatically became a Norwegian citizen when you were born. If your other parent’s home country has the same rule, you will also be given that country’s citizenship and you will thus have dual citizenship. This only applies if you automatically became a citizen of both countries when you were born, and not if your parents took any action (for example submitted an application or notification) in order for you to be granted the second citizenship. You will not lose your Norwegian citizenship if you have been granted a new citizenship without having asked for it, and, in such cases, you will have dual citizenship. This can happen in some countries, for example because you have married. If, on the other hand, you have applied for or clearly accepted citizenship in another country, you will normally lose your Norwegian citizenship. Reference here. While dual citizenship is not permitted in Poland, the country does tolerate the possession of multiple nationalities, and will consider dual nationals as Polish only. However, such citizens will face penalties for exercising their foreign citizenship, which includes identifying themselves as a foreign national to Polish authorities. Reference: In Poland, dual citizenship is not recognized. Poland does not recognize dual citizenship of its citizens. Polish law does not forbid a Polish citizen from becoming the citizen of a foreign state but Polish authorities will only recognize the Polish citizenship. Reference here. Seychelles allows dual citizenship for native-born citizens who gain foreign citizenship by working abroad or marrying a foreign national. Reference: Dual citizenship is not recognized in Seychelles but the government of Seychelles only recognizes dual citizenship in specific cases concerning native born citizens of Seychelles who later obtain another citizenship for domestic or economic convenience (such as to work abroad) or involuntarily through marriage to a foreign citizen. Reference here. Slovenia generally allows dual citizenship for native Slovenians who obtain a second passport. However, those who become citizens by naturalization may be required to give up their other nationalities. Reference: Dual citizenship is generally permitted in Slovenia, except for certain persons seeking to become Slovenian citizens by naturalisation. However Slovenian citizens who have another nationality may be deprived of Slovenian citizenship in certain circumstances. Reference here. South Korea recognizes dual citizenship, but only for those who received their second nationality at birth and had before the age of 22 declared their intention to remain South Korean. The country does not permit adults to acquire other citizenships. However, foreigners who become South Korean citizens under its immigrant investor program can keep their birth citizenship. Also, expats who have lived in the country for five years, or two years, if married to a South Korean, are allowed to maintain dual nationalities. Reference: South Korean government legalized dual citizenship for some South Koreans who have acquired another nationality/citizenship, as well as foreigners who lived in South Korea for five years (two years if married to a South Korean). Reference here. Dual citizenship is permitted in Spain, but citizens who acquire a second nationality are required to inform the government of their intention to remain a Spanish national within three years. Natural citizens of Iberoamerican countries, Andorra, the Philippines, Equatorial Guinea and Portugal are exempted from this requirement. Naturalized citizens, however, are required to renounce all other nationalities, unless they are natural-born citizens of an Iberoamerican country, Andorra, the Philippines, Equatorial Guinea or Portugal. Reference: Dual citizenship is permitted for all Spaniards by origin, as long as they declare their will to retain Spanish nationality within three years of the acquisition of another nationality. Reference here. St. Vincent allows dual citizenship for those who gain citizenship of another country by birth, those who are born in St Vincent to foreign parents, citizens who marry foreign nationals, and naturalized citizens. Reference: Dual citizenship recognized in these special categories; Person born abroad of St. Vincentian parents, who obtained citizenship of the country of birth. Child born in St. Vincent of foreign parents. Citizen of St. Vincent married to a foreign national. Naturalized citizens. Reference here. Taiwan allows its citizens to hold dual citizenships, but such citizens are prohibited from holding most public offices in the country. Naturalized citizens, however, are required to give up all other nationalities. Reference: Article 9 of the ROC Nationality Act requires prospective naturalized citizens to first renounce their previous nationality, possibly causing those persons to become stateless if they then fail to obtain ROC nationality.The United Nations High Commissioner for Refugees has noted that this has caused thousands of Vietnamese women to become stateless. Article 9 does not apply to overseas Chinese holding foreign nationality who seek to exercise ROC nationality. Such persons do not need to naturalize because they are already legally ROC nationals. The Act does not restrict ROC nationals from becoming dual nationals of other countries. Dual nationals are however restricted by Article 20 from holding most public offices in Taiwan. Indeed, many immigrants to Taiwan give up their original nationality, obtain ROC nationality, then apply again for their original nationality-which some countries will restore, some after a waiting period. (Notably, the United States government has no such procedure.) This entire process is fully legal under ROC law, though statistics are not available regarding how many people do this. The Act also permits former nationals of the ROC to apply for restoration of their nationality. Reference here. Tanzania does not recognize dual citizenship, except for women who gain a second citizenship through marriage. Reference: Tanzania does not currently allow its citizens to hold foreign citizenship in addition to their Tanzanian citizenship, except in the case of Tanzanian woman acquiring foreign nationality through marriage. The ban on dual citizenship has historically been motivated by suspicions about potential disloyalty amongst the sizable Asian minority. Nevertheless, in recent years a debate has arisen about permitting dual citizenship. In August 2007, the minister of home affairs submitted a report recommending that the law be changed. Reference here.